Kings: Kings is an ethical aftershave fragrance and grooming brand founded in Bristol on April 2018. The brand focuses on men’s well being and their implication in the preservation of our planet. Blué O’Connor, the founder of the brand suffered from social and general anxiety for years and to stop being unhappy, he changed his lifestyle entirely and left UK to travel all around the world. When he came back in the UK, O’Connor tried to find healthy and ethical products for men but couldn’t find anything, that’s how he had the idea to create his own brand, only dedicated to men’s well being, and started a crowdfunding. With Kings, he gave himself a mission: ‘to empower men to live healthier and happier lives’. That’s why Kings is totally vegan and cruelty free (the brand is listed in The Vegan Society & Cruelty Free International). For now, the brand only released one fragrance, called Evolution, available in three different quantities: 1,7ml, 10ml and 50ml. The fragrance is certified without palm oil and paraben, and O’Connor only used these essential oils to make it: patchouli, cardamon, vetivert, copaiba, ylang-ylang and eucalyptus. Those scents combined with the gorilla on the packages are like an order to make men go back to their primal instincts, to make them thinking about their roots and how they could use them to improve themselves. The 50ml bottle costs 39.99 pounds and for the quality that is put into this fragrance, it is definitely worth it. Moreover, even if Kings is a whole new brand, they already started to donate a part of the money they make from their sells to three different partner charities: Mentoring Plus is an organization working for young people’s well being and help them having confidence to build their future. Bristol Mind is a charity that I really love. it is a mental health charity in Bristol that makes so many things for the city, including confidential peri-natal support helpline, LGBTQ+ wellbeing therapies and a hate crime service. It is so complete! Every cities should have a charity like this one. Finally, the last charity is Calm, a charity that works to prevent men suicide. Besides these donations to charity, Kings is aiming to expand their projects for men well being: O’Connor wants to build calisthenics parks (or urban gym) in deprived areas to help young men, encourage their personal development and well being. He really honors what he promised to himself and it is very impressive to see everything he works and stands for. Hats off to them! Rozenbroek: Rozenbroek is a London based luxury menswear fashion brand . The brand uses only ethical high quality vegan and organic materials to make the clothes. Rozenbroek’s goal is to make ethical clothes that will last and focus on the well being of our planet. Of courses their products are certified 100% cruelty free, and made in order to minimize waste. They’re all made in a fabric run by solar power in Yorkshire, England. Jade Rozenbroek, the founder of the brand is a former multi-product menswear designer who used to work for high-end fashion houses. She thought that there were too much waste and not enough sustainable products in the fashion industry and decided to create her own brand in April 2017, using ‘Reduce. Reuse. Repair. Recycle. Educate.’ as a credo. The brand tends also to be transparent from seed to the consumer to make clothes that are as much authentic as possible. Because Rozenbroek cares a lot about the wellbeing of the planet, they offer a service of repair or recycle at the end of the products life cycle. But, Rozenbroek is above all a fashion brand. They have an inspiration for all of their collections (the Spring/Summer was for example about River phoenix) and they tend to make the most comfortable and fashionable clothes. For Jade Rozenbroek, men don’t have as much choice as women when it comes about clothes, and especially ethical clothes. And the brands that already exist for them are whether not offering a lot of choices or all abroad. And that would be the reason why they also tend to stick to their habits, instead of trying new products while they can. Rozenbroek was so frustrated about this that she firstly created herself the gifts she was going to offer to men, and then turned her creations into a clothing brand. And you, will you succumb to this ethical and vegan clothing brand and offer this to the men you love? English National Ballet: The English National Ballet started working with people who have Parkinson and their close relatives in 2010. The goal is to make them discover the universe of ballets, while reducing the symptoms of Parkinson as much as possible. This program has actually been proven to help the sick people with their confidence and fight against the disease. This year, the program has been extended and the English National Ballet has started a new partnership with the Royal Albert Hall called Dance for Parkinson’s at the Royal Albert Hall. The Royal Albert Hall, a registered charity that mostly hosts art events. 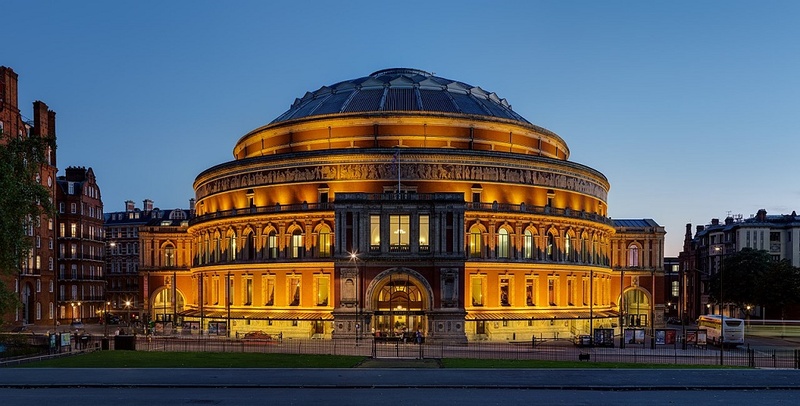 Dancing classes will be held once a month at the Royal Albert Hall, starting on February the 5th 2019 at 11am. Specialist English National Ballet associate artists will lead the classes in a designated space with a professional dance floor near Kensington Gardens. Participants will have the opportunity to practice dances inspired from the ENB repertoire, along with live music. They will also have opportunities to attend cultural events and performances of the company. For those people who suffer a lot because of their disease, these class lessons can make them meet new people who suffer from the same disease as them, as long as help them exercise and discover a whole new world they may have never thought about. The Royal Albert Hall also held many charity events along the years. It is indeed registered charity in trust for the nation’s benefit. The Hall started hosting a charity event for people who have Parkinson in 2014, with Parkinson’s UK (a Parkinson’s research and support charity). For this event called ‘Symfunny’, a lot of famous musicians and comedians came on stage to to raise vital funds. The event in itself has been created by conductor James Morgan, who was diagnosed with Parkinson’s at the early age of 42, and Juliette Pochin, a fellow producer who is also his wife. The event had so much success that they made it again in April 2017, and nothing could give the impression that it will be deleted someday. After all, humanity is the basis of our civilization and we all want to live happy and healthy on this beautiful planet we live in. The more ethical companies will do, the more they will impress and inspire non-ethical ones. Hopefully, someday, all companies will be ethical.